WATERFRONT! Down the canal to the open waters of the Manatee River. Hop in the boat and be at the favorite local watering hole, Woodys River Roo in 5 minutes. Rarely an opportunity to purchase a home on a salt water canal in the boating community of Manalee. 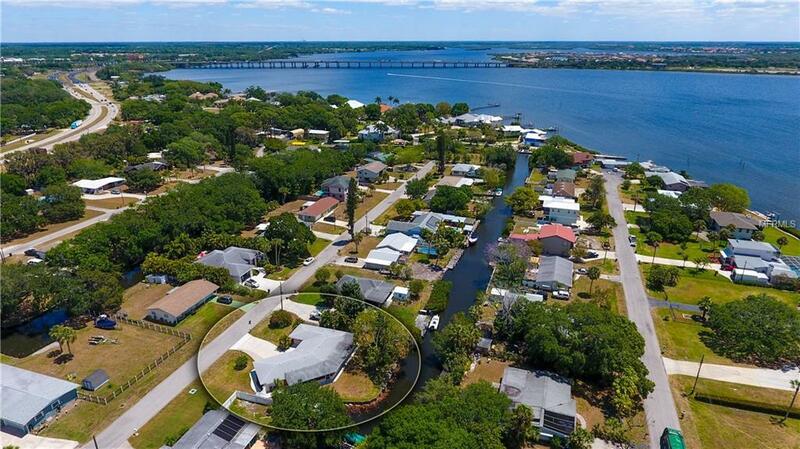 Large lot, 100 ft of water frontage, 2 beds, 3 full baths, 2 car garage, and square footage nearing the 1,800 mark. Open concept, great room with excellent natural light exposure, generous room sizes and large bathroom plats. Roof, Concrete sea wall, and dock are all 10 years or less in age. Newer carpet, and fresh paint on the inside and out. Oversized lanai is screened in and the back yard is perfect space to create any outdoor space a boater can imagine. So clean, and almost all original interior features that are in immaculate and untainted condition give the impression this place has been frozen in time. Want to sport the retro era? Then keep it as an eclectic castaway. Want to make it your own? Then bring the design team and get cracking. The choice is yours! Great proximity to the interstate. Convenient hub for St. Pete, Tampa, and Sarasota. Want to live the boating life? Here is your chance. Who knows when the next opportunity in the Manalee Boating Community will come knocking.Call to schedule a private showing today.